The Belvedere Farm is a small, family-run company which has always promoted quality in its products. The owner personally monitors each phase of work, both in the olive groves and in the mill, combining the validity of tradition with the importance of innovation. The continuous pursuit of improvements has resulted in significant cultivar grafts and replacements in favor of a prevalence of Frantoio, considered the best-suited cultivar for the terrain. The farm extends across the hills surrounding Lucca on mixed calcareous terrain, at an altitude of 200m above sea level, with south-south west exposure, in an open and ventilated area. It is located near Lucca, a city of great historical importance established by the Romans. Lucca is encircled by medieval and renaissance walls and is replete with architectural and urban wonders. 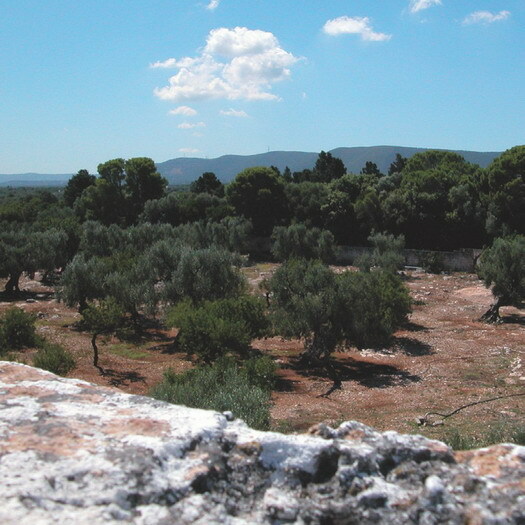 In the vicinity of the olive groves, there are numerous villas dating back to the 1600s. These villas were the luxurious country residences of the nobility and rich haut bourgeoisie merchant class of that period. The farm center lies in a traditional rustic establishment: a courtyard, with several dwellings for the farmers, cellars and facilities. The buildings were recently renovated, respecting traditional architectural standards. The farm can be visited by appointment.